The most important qualification for a Record Producer is the ability to create music and understand what will be marketable in the industry. Every artist wants a hit song. Producers must have a good musical "ear" and the ability to know what will sound good. He or she must be able to hear raw talent and have the ability to foresee how it will sound if properly arranged and recorded. Producers with musical training and experience in the studio are most effective. ​The main job of the Record Producer is to produce the record or CD. There are a number of different responsibilities within this job classification, some creative and others business-oriented. A Producer helps the artist select tunes to be recorded. Once the artist has rehearsed and is ready to record, the Producer will locate a suitable recording studio in which to record and arrange for studio time. The Producer will select an engineer, hire an arranger, and contact a contractor who who will secure background musicians and vocalists for the job. The Producer or Production Assistant will make sure that all those hired arrive at the studio on time. The Producer is responsible for ensuring that those who have been hired are paid promptly. 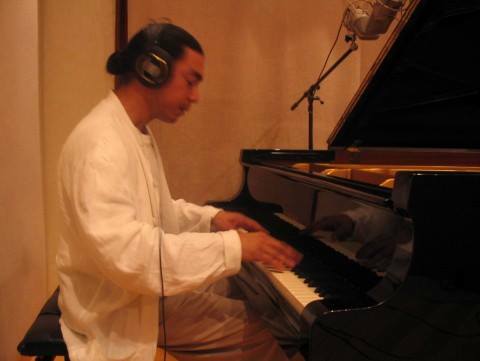 During the recording session, the Producer will work closely with the engineer. The Producer advises the engineer of any specific sounds or feelings he or she is trying to create. It is the Producer's role to supervise the entire recording session, making decisions about when to do a takeover, what to use, etc. The Producer usually adds a personal touch to the recording. This is sometimes a special sound effect or the way a tune is began or ended. Often it is a blend of instruments or vocal harmony. It is not unusual for a Producer to place his or her trademark on records. It is up to the producer to keep the recording within the budget agreed upon. Going over budget often costs the label or artist thousands of dollars extra. Who employs a record producer? The Record Producer may work on staff for a label or be an independent Producer, freelancing his or her talents. The Producer on staff at a record company is responsible to the A&R department head. The Producer who freelances may be responsible directly to the label or to the artist. This depends on the arrangement made beforehand. ​What qualifications are important when selecting a producer? ​The most important qualification for a Record Producer is the ability to pick hit tunes. Every artist wants a hit song. Producers must have a good musical "ear" and the ability to know what will sound good. He or she must be able to hear raw talent and have the ability to foresee how it will sound if properly arranged and recorded. ​What are the basic skills to look for in a producer? Does the Producer have a role in mixing the record? After the recording is made, the Producer is in charge of "mixing" it to perfection. Although the Producer does not always perform this function personally, (special engineers or mixers are often hired), he or she always supervises this function. Success or failure in the mixing process can be what makes or breaks a record. If the tunes recorded are for a CD, the Producer will help to choose the order in which they are placed. He or she will also select the single from the CD. ​What role does a Producer play beyond mastering? ​Most producers will remain involved in such matters as the cover, liner notes, credits and back-cover graphics. Producers with contacts in the promotion area, especially with radio stations, will often assist in the promotion of the record. ​Does the Producer’s role extend beyond the recording phase? The Producer is involved with all aspects of the record. When the recording and mixing have been completed, the Producer's job does not end. Though the creative process is almost over, the Record Producer must attend to many of the business aspects of producing. The Producer is responsible for clearing mechanical licenses, making sure that all copyrights are checked, and providing completed consent forms and releases from artists, engineers, photographers, etc., who worked on the project (if they are to receive credit on the record). The Producer must also submit receipts and paid bills to the record company. How is the producer compensated? ​Record Producers on staff at a record company may earn a salary plus royalties on records they produce. Producers who freelance as independents are paid a fee for their services by either the label or the artist. In addition, they are always paid royalties on works they produce. The amount of royalties differs from Producer to Producer. Those with past success can negotiate for larger royalty payments. This money if often advanced to the Producer. ​Business Skills - The ability to pick hits, coordinate sessions, complete paperwork, negotiate good vendor deals, and work within a budget. Attention to details - booking time, hiring musicians, arrangers, engineers, etc. Musical Skills - Having the ability to hear what is in tune or out of tune. Writing charts and arrangements in the studio and combining sounds in an unusual and pleasing way. Psychological Skills - Knowing how to handle talent. Exercising judgment - knowing when to take a beak, quit or go on. Knowing how to get the best performance out of the artists, singers and musicians. Ability to work long hours under stress. Projecting energy and enthusiasm, whatever one's true feelings. Technical Skills - Knowledge of multi-track recordings and the consol to get the maximum desirable effects. Willingness to experiment with sounds, microphones, and outboard gear until the best sound is achieved. Ability to hear what sounds good in the mix in order to highlight the most important parts of a performance. What is the difference in Copyright v. Author-Right? Laws and treaties based upon copyright legal tradition, as exemplified by the laws in America and Britain, view the existence and ownership of intellectual creations as basically another form of "property." As property, the title (ownership) of intellectual property can be bought and sold, licensed, transferred, inherited, etc., quite similar to buying, selling, or otherwise holding or transferring ownership in "real" property such as land, buildings, cars, etc. More specifically, under the copyright approach it is the "right to copy" that is vested with the value of the property once the property has been created (authored). Laws and treaties based upon author-right view the value of the property being vested in the initial authorship and not the copying or dissemination per se. Under author-right systems this value of the creative product can never be separated from the original author. Intellectual output can thus never be bought, sold, or transferred, but only loaned for specific usage and for limited time periods, by the author or the author's heirs, to others (also called "licensing"). ​To ensure the protection of your creative works, the rights of others and operation within compliance to Federal laws, an understanding of Intellectual Property and Copyright is vital. Copyright law is part of a larger body of law called intellectual property law or IP law. Copyright is a legal mechanism that protects the rights of the individual creators and owners of intellectual properties—artists, writers, photographers, composers—and their original works from unauthorized and uncompensated appropriation. In other words, copyright law protects the creators of intellectual properties by controlling the unauthorized "copying" and distribution of their works. Copyright protection subsists, in accordance with this title (Title 17), in the original works of authorship fixed in any tangible medium of expression, now known or later developed, from which they can be perceived, reproduced, or otherwise communicated, either directly or with the aid of a machine or device. Copyright law does not protect ideas, procedures, processes, systems, methods of operation, concepts, principles, or discoveries, regardless of how these excluded expressions are described or illustrated. Protection under copyright law does include compilations and derivative works, so long as the use of such selections of the copyrighted work of others is lawful. Also, the copyright protection in the case of compilations and derivative works extends only to any and all new material, but not to those components of the compilation or derivative work already copyrighted by their original authors. Note that in copyright law, the term author is used to denote any creator of an original work, regardless of the form of the work.